In today’s episode we are discussing how global trends are affecting the things we eat and drink. Where is the largest dairy market in the world? Listen to find the answers. Then check them on the transcript below. And I'm Tom, welcome to the programme everyone! So, Tom, you do know you're not allowed to drink tea in the studio, right? ቶም ከምቲ እንግሊዛውያን ዝገብርዎ ሻሂ ምስ ጸባ ይሰቲ'ሎ። Tom, have you ever thought about adding cheese to your tea? Actually, taking your tea with cheese is very popular in China! ንምዃኑ'ውን ኣብ ናይ ሎሚ ትምህርትና፡ ብዛዕባኡ ኢና ክንዘራረብ - ኣብ ዓለም ዘሎ ናይ መቐረት ለውጢታት። ናይ ሎሚ ሕቶ እምበኣር እዛ ትስዕብ'ያ። ብመሰረት ዩሮሞኒተር ኢንተናሽናል ዝተባህለ ትካል ዝገበሮ መጽናዕቲ፡ ኣብ ዓለም እቲ ዝዓበየ ዕዳጋ ፍርያት ጸባ ኣበይ'ዩ ዝርከብ? Wait a minute, why are people in China putting cheese in their tea, anyway? Shokofeh Hejazi is from The Food People, which studies emerging trends in food and drink. Shokofeh, why are the people of East Asia suddenly putting cheese froth on their tea? I think there's probably a few reasons for why it's taken off the way it has in Asia. Predominantly, one of the biggest reasons would be the increase in dairy consumption in general there. Traditionally, dairy, and cheese in particular, has been virtually non-existent in Asian diets. But that's changed so much in the last ten or fifteen years that actually China is set to become the world's biggest dairy market in the next year or two. What that means is that we've got this huge new demographic that's trying dairy for the first time, and having fun with it, and cheese tea sort of represents a beautiful blend of that old and new. Interesting! So, having lots of new consumers means companies can create original products! Yes! 'Consumer' ኣህላኺ ማለት'ዩ. I guess they are open to new ideas! I understand that consumers want new products, but cheese tea sounds horrible! What did she mean that it represents the blend between the old and the new? Probably because tea is a traditional drink in China, but cheese and dairy have only become popular with the globalisation of markets. 'Globalisation' ዓለማውነት ማለት'ዩ. I think globalisation has had an effect here, too. I've seen people mix their tea with coffee. That's a new one for me. It's similar here in the U.K., too. We drink tea, traditionally, but we copied the bubble tea trend from Taiwan. I think with the internet and social media, it's never been easier for new ideas to get into the mainstream! Well, yes, but just because something is popular, or in the mainstream, doesn't actually mean that it's any good! Are you still thinking about the cheese tea? 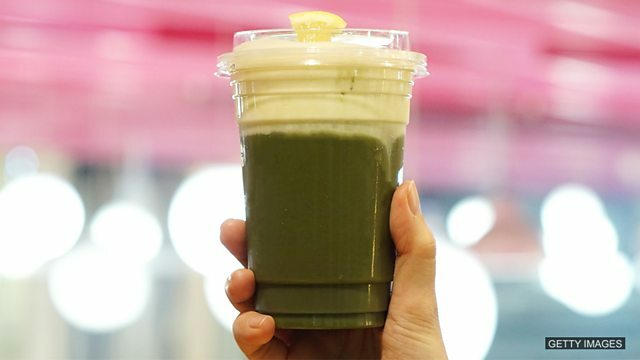 So, maybe even more people will be drinking cheese tea! It might even become a global trend! Globalisation refers to the process where culture and business have become more international. Globalisation has allowed companies to make greater profits. Some people feel that globalisation has made international companies too powerful. International communication has improved - leading to more globalisation of culture. Consumers are people who use and buy goods and services in an economy. Businesses have to listen to consumers. The products that consumers buy have changed over recent decades. The Chinese were not large consumers of dairy products. A trend refers to a pattern of behaviour or consumption that becomes common. It is often temporary. There is a current trend for unusual drinks. The trend for travelling abroad has made flight tickets more expensive. The latest trend is for bright clothing. The mainstream refers to things which are enjoyed by the majority of people. International food has come into the mainstream in recent years. She liked to listen to music that was outside the mainstream. Once his films became part of the mainstream, he started to make a lot of money. Demographic refers to a group of people who are defined by a common characteristic. We want to sell products to a young demographic. We looked at the demographic of our customers to design our new product. This drink is very popular with certain demographics. People use the idiom 'I'll never buy it' to say that they will never agree to something. You can try and convince me to do that, but I'll never buy it. He tried to convince her to give him a promotion at work, but she never bought it. You can tell me it's a good idea as much as you like, but I'll never buy it. Which word describes a person who buys a product? Music, fashion and food _____ can all change quite quickly now, thanks to social media and the internet. Trends can easily spread around the world as a result of ______. Social media is very popular with the young _________. What do you think? Would you like to try cheese tea? Tell us on our Facebook group.